It’s time for my final monthly accountability update for 2014. As long-time readers know, these monthly reports are where I share what came into and left my closet during the previous month, what I wore, and how I did with my shopping budget and rules. It’s my way of keeping myself honest and on track with my goals. This update will also include a year-end wrap-up in terms of my budget and item limit. Other goals – including wardrobe “all-stars” and “benchwarmers” – will be covering in future posts. These two items left my closet in December 2014. I’m sure I could have let go of more items, but I was too focused on other things last month to do any deliberate purging. I was also happy with all of the items I ended up wearing, so none of those garments were placed in my donate/consign bag. I have already designated quite a few things to pass on during January, however, so I’ll have much more to say in this section of my next accountability update. Black lace sweatshirt: I bought this sweatshirt in early November, but still hadn’t worn it as December was drawing to a close. Although you can’t really see this in the photo, the fabric under the lace is olive-toned, not black, which cuts down on the versatility of the garment. Since my wardrobe is mostly cool-toned, the warmer olive color doesn’t really coordinate well with the rest of my clothing. If the sweatshirt had been all black, I’m sure it would still be in my closet and would already have been worn at least once or twice. White cardigan: I bought this cardigan back in the summer after I had noticed that my wardrobe was too dark. I thought that adding a few white pieces to my closet would brighten up my outfits, but I soon learned that I don’t look good in stark white. I love white as part of patterns (especially my beloved black and white striped items), but by itself, it doesn’t suit me. I only wore this cardigan once! Fortunately, it wasn’t very expensive, but it still represents wasted dollars. I briefly considered dyeing it a darker color, but after I saw that it was a cotton/synthetic blend, I opted not to risk it (I’ve read that natural fibers work best for dyeing). No more stark white clothing for me! The weather had only recently shifted (I’m not trying to shove that in the faces of those who live in very cold areas!) and I was “rediscovering” my cooler weather wardrobe. Since I had only just started to wear those clothes, I did not yet know what – if anything – I needed to add to my closet. In fact, I still haven’t really identified any true cold-weather wardrobe needs, barring new workout wear and undergarments and maybe some tall boots to wear with skirts and dresses. 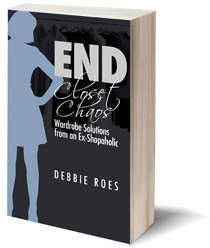 I was focused on finishing up my second book, “End Closet Chaos: Wardrobe Solutions from an Ex-Shopaholic” (read more here), which occupied a very large slice of my time. As is the case with most projects, it took more time and energy than I thought it would, so I didn’t have much free time for shopping. Everything above was a Christmas present, with the exception of the casual jacket. The boots and watch were gifts from my husband and the other items were given to me by my mother (I don’t exchange gifts with anyone else in my family or with any friends). A new pair of boots and a new jacket came into my closet last month. These four jewelry pieces were all Christmas presents. While almost all of the items above were gifts, I actually selected the majority of them. Only the bracelet and earrings were complete surprises. This is the section in which I usually share why I added my new pieces to my wardrobe, but today’s edition will be a bit different. For the items I selected, I share my reasons for doing so. For the other items, I offer my thoughts on how I see them being utilized – or not. Navy casual fleece-lined jacket: I have another navy casual jacket that was my most worn item last year! It is really showing signs of wear, though, so I opted to purchase another similar jacket to fill in the gap. The new jacket is a bit heavier weight and a longer length, but is also quite casual and will serve the same purchase. The old jacket isn’t ready to be purged just yet, so I will likely wear both of them for a while. Grey low-heeled boots: In my December outfit journal, I wrote several times under “what would you change?” that I would wear grey boots with a given ensemble. Thus, I asked my husband for a pair of grey boots for Christmas. Now, instead of wearing black boots most of the time on colder days, I will switch things up and sometimes wear the new grey boots. This is an example of how I plan to shop this year: buying things I’ve identified I either need or really want (more than just a passing desire) or are replacement items (like the navy jacket). Silver watch with blue face: I haven’t purchased a new watch in several years and I wear the three I have all the time. Since I already had watches in pewter, black, and two-toned silver/gold and because I wear silver accessories almost exclusively, I knew that I would get a lot of use out of a silver watch. The blue face makes me love this watch even more, as cobalt blue is my favorite color. I have already worn the new watch numerous times. Silver pendant with multiple colored stones: When my mom was visiting back in September, we went shopping together and purchased Christmas presents for each other. I really liked this necklace because it includes so many different colored stones, many of which correspond to the colors in my current palette. I see myself wearing this pendant more during the warmer months, but I’m going to challenge myself to wear it year-round. Orange/yellow/white stretch beaded bracelet: My mom found this bracelet for me at the Coldwater Creek close-out sale. While I like the colors, they aren’t really in my palette, plus the bracelet is too large for my wrist. I’m going to have to pass this one on. I don’t feel too bad about it because my mom told me it only cost $5 (she’s not too good at keeping secrets…). Silver earrings with onyx stones: My mom bought these earrings at one of my favorite jewelry stores in Northern California and I love them. As you know, I wear a lot of black, so silver/black earrings are quite versatile for me. I actually didn’t already have any earrings like these (although I do have silver/black earrings). They’re lightweight, a good size, and I’ve already enjoyed wearing them. I believe they will be worn a lot in the coming year. With the exception of the stretch bracelet, I feel that all of my December acquisitions were good additions to my wardrobe. Yes, I am working to pare down my jewelry collection, but I’ve already identified more items to pass on than were brought in last month. I will share my cast-offs in my January accountability update. When I originally laid out my shopping and wardrobe goals for the year last January, I decided to purchase only half the number of items I bought in 2013. Although I initially set an item limit of 38 for 2014, I opted to raise it to 53 back in August. The revised number still represented a 30% reduction over my 2013 acquisitions but was more doable for me than my initial item limit. As of the end of November, I had purchased 54 qualifying items (workout/lounge clothing, accessories, undergarments, and gifts don’t count), which exceeded my limit by one item. However, since I returned the black lace sweatshirt and none of my December additions counted toward the total (the jacket is for workout/lounge and all other items were gifts), I actually met my item limit! It is a bit of a hollow victory, though, as I had so many exclusions. I do feel it was helpful to limit my shopping by items as well as budget, however, and I’m happy that I brought fewer items into my wardrobe in 2014 than in the previous year. I don’t plan to have an item limit for 2015, but I will continue to share everything that comes into my closet throughout the year. I will also keep a running tally of how many pieces I bring in so I can stay both accountable and aware of my shopping behavior. I plan to acquire far fewer items overall, but I’m going to see if I can do that without having to live by a lot of rules. I will share what my actual rules are in a future post (I’m still working it out), but I seriously doubt that a defined item limit will be part of the picture. It’s time to see if I can trust myself and all I’ve learned about my wardrobe, my style, and my shopping habits. The proof will be in the pudding, as the old saying goes! My budget for clothing and related purchases (shoes, accessories, alterations) for 2014 was $3000, which worked out to $250 per month. However, since I overspent my budget during July, I lowered my monthly allocation to $200 for the remainder of the year. During December, I made quite a few returns, mostly for items that were never mentioned on the blog. I often order things online that don’t end up working out and are immediately returned. This was more the case than usual during the Black Friday/Cyber Monday time frame. In fact, the only item that I kept from those orders was the navy casual jacket shown above. I returned two pairs of pants, two skirts, and four shirts, so my track record wasn’t very good! Such is the nature with online shopping, though. You win some, and you lose some (and sometimes you lose a lot more than you win!). The good news, however, is that my expenditures for December came in at -$201.14. Consequently, I ended the year under budget by almost $200! I spent a total of $2811.04 on clothing, shoes, accessories, and alterations in 2014, which was under my $3000 budget by $188.96. I’m very happy that I met my clothing budget for the second year in a row, especially since I failed to do so for at least ten years prior. However, I feel like I wasted a lot of money on bad purchases and ill-advised alterations. I really think that if I could just shop more wisely, I would spend far less and get by with half the number of new items – or less. After all, I did write a book about smart shopping. Perhaps I need to re-read it and start taking my own advice more often! I do think I’m in a much better place now and will finally start to see more of the fruits of my hard recovery work this year. Stay tuned… I promise to continue sharing it all – the good, the bad, and the ugly. For the past year and a half, I’ve been keeping track of the garments and shoes I wear each month and how many times they get worn. This helps me to better understand which items are my favorites and which ones should perhaps be passed on for donation or consignment. During December, I wore 21 garments and 4 pairs of shoes, which is even lower than my November numbers. While I continue to spend a lot of time in lounge wear (most of which is not included in my number), I also had far more repeat wears last month. I wore one pair of jeans six times and one pair of black pants five times, while one pair of black boots got worn eight times! The above numbers may not seem all that high to some of you, but I am not exactly known for my repeat wears. I’m not sure if I’m just being lazy or if my repeat wears are indicative of real growth. In all honesty, it’s probably a combination of the two. While the cooler weather did spark a bit of a lackadaisical attitude, I also want to give myself some credit. I’m no longer as obsessed about what I wear and have been focusing more on other aspects of my life, which is ultimately what I want to do. I want to look nice and feel good in what I’m wearing, but I don’t want that to be the primary focus of my life. And in December, it wasn’t, so I’m going to pat myself on the back for this positive change. I still have a lot of work to do on building a fuller life, but dialing back my wardrobe obsession is a definite step in the right direction! I wore these 20 garments (one top not shown) and 4 pairs of shoes during December 2014. The colors are pretty consistent with what I wore during other month’s last year, but there’s actually less black in the mix. I enjoyed wearing blue, green, purple, red, and grey in addition to black, and all of my outfits were rated at an “8” or higher. I was very casual most of the time, but it was fun to dress things up a bit more for a holiday party and Christmas brunch (when I wore red and green – when else can one do that?). Five tops were only worn at home: the two short-sleeved print Henleys, the green and grey striped waffle top, a purple long-sleeved crew-neck (which I’m wearing as I type this), and a purple/blue print long-sleeved crew-neck (not shown). Most of these tops were previously worn outside the house, but have been downgraded because they’re a bit “tired.” I don’t want to look like a slob at home, but I don’t feel the need to be as polished as I am when I am out and about. I like being able to give some of my clothes an extended life by downgrading them to lounge, workout, or sleep wear. If they start looking tattered, stained, or threadbare, however, I let them go. I believe it’s important to feel good in what we wear, even if the only ones who see us are our pets! You might notice that there are three pairs of black boots in the photo above and that they are all quite similar. The styles and heel heights vary somewhat, but there’s no way that I would purchase such similar shoes today. In my defense, one pair (third row, second from right) used to be brown, but I dyed them black because they weren’t being worn (see this post for before/after photos). After the transformation, the boots were worn so often that they will likely be passed on before too long. Another pair (second pair in row two) was rarely worn last year, but I rediscovered them (that sounds like I am like Imelda Marcos in my closet, but I’m not nearly that bad!) at the end of the year and have been wearing them quite regularly since that time. Yes, there is redundancy in my black boot collection and I’m no doubt “splitting my wears,” but I’m okay with it for the time-being. My guess is that two pairs will be gone by the end of 2015 and will be replaced with one new pair, if at all. I can see the utility of having one pair of heeled black boots and one pair of flat black boots, but even so, I’d like them to be different in some other important way. I really do want to have a smaller, more functional wardrobe, which is why I’ve taken on my new closet challenge. I look forward to having good things to report as the year progresses. Last month, I mentioned that I don’t really enjoy writing these accountability updates. I probably shouldn’t have written that, but it was what I was feeling at the time. It may not be as fun to compile these posts as it is with others, but I know it’s valuable for both myself and others. I plan to continue my accountability updates through 2015, but hopefully they won’t be as lengthy because I won’t be buying and purging at as high a rate. In addition to sharing what came into my closet each month and what left, I will also give an update on my new wardrobe challenge, which really needs a catchy name. I’ll noodle on that a bit, but if you have any ideas for what I can call it, please send them along. Each month, I’ll let you know how many pieces are in my “working wardrobe” and feature a photo of what my closet looks like. I’ll also continue to report on my budget (which may go down this year) and how many items I’ve purchased, including accessories. If any of you want to share your accountability when I do mine, I welcome it. I have felt less alone and more a part of a team since some of you started chiming in with your numbers. Let’s keep that going in 2015! How did you do with your shopping and wardrobe during December? Did you end the month – and year – on a high note, or were you challenged with overshopping and other issues? What do you plan to do differently during 2015? Please let me and your fellow readers know how we can support you in honoring your goals and commitments. Feel free to share your wins, challenges, and questions in the comments section of this post. I also welcome any feedback you have on what I reported today. I thank you for reading, and for the support – and tough love – you’ve given me along the way. I’m in a much better place today because I haven’t been on this path alone. Even if you never comment or send me email, I know you’re there and that means a great deal to me. I wish you all the best in 2015 – with your wardrobe, your shopping, and in all areas of life! Hooray! On the money and on point at the end. Big congrats. I didn’t fare as well, but did better than years past. I’m with you on trying to ease up a bit and see if our lessons have sunk in. One thing I will ponder is the ‘uncounted’ items we all have. Lounge, exercise, PJ’s capsules. If I spend all day in them (yes I have PJ days!) maybe I should not discount them in my wardrobe numbers? At this time in the season and my work schedule I spend half my time at home. I’m wearing a LOT of that not counted category. Might be time to rethink the ‘exceptions’. Oh, I should have maybe been a little more specific in how close I got to my goals – 44 items and $34 over budget. I do include every gift in my item amounts and even swap items. I didn’t have a set number to stay below, but just to bring in less. I did have a $2000 limit for spending though. This year I am aiming to stay below $1700 and that includes all costs from socks to alterations to returning online orders. As for the bulk of my ‘regular’ purchases, I’m looking in the neighborhood of $1350, or about $50 average and about 8 – 10 items per each of 3 shopping seasons I’ve split the year into. I think you did pretty well, Mo, especially since you count gifts and swapped items. This year, I’m not going to have an item limit and I’m going to list out everything I buy, including things like workout wear and pajamas. I think I need to give those types of things more attention anyway, so that might be a way to do it. I spend a lot of time at home and I want everything I wear to be an “8” or higher, not just the “regular” clothes. Your plan for this year sounds great and I wish you the very best! Oh well done, that shows real progress! I didn’t do so well: bought 50 items (31 garments + 19 scarves/shoes); total spend about 30% over budget. To be fair I only started my ‘Project 60’* in June (also discovered this blog); and on the positive side there has been a steady decline in number of items purchased. (*Goal: to have a stylish, workable wardrobe by the age of 60, ie july 2018). Been wearing around 50 items per season, am trying to work my way through all my clothes slowly, adding outfits that work to a spreadsheet; at the end of each season I save the spreadsheet and start again; at the end of a year I will see what was never worn. Only one rule: to throw away more than I buy, at least 5 more per season (actually thrown 15 more than I’ve bought since June). Starting point summer 2014 total 275 garments + 80 scarves/shoes; to be workable must be significantly less than this, at the moment I find it overwhelming. My big update will be summer 2015 ! Debbie, it might be fund to do a few posts this year on personal style, what does it mean, does it matter, do we have favourite/signature pieces. etc? I love your one rule, Alice, and I congratulate you on your success thus far. I also want to get rid of more than I buy and have been doing so for two years now. My wardrobe size stayed about the same throughout 2014, though, and I really feel it’s too much for my lifestyle at this point. Your aims for 2015 are excellent and I look forward to reading about how it goes for you. Thanks for the post ideas. Someone else suggested posting about favorite pieces, so I will definitely do that sometime soon. Debbie – I think you should be more impressed with yourself. You came in under budget and hit your item total according to your rules. Think how dazzled the you of two years ago would have been. and yes, challenging yourself again is a good idea but you’ve come a very long way, and I’m celebrating that! You’ve done so well, Debbie! Congratulations! I came in just on budget for 2014. I’m satisfied with this because it’s the first time I’ve even been able to stick to any kind of self-imposed limitation. 2014 was also the first time I’ve ever recorded all my purchases. This alone made me think harder before purchasing, but even then I was shocked to find that I purchased 60 items. I hate to think how much I would have bought if I hadn’t been keeping track! I like that you’re moving away from having too many rules. Other than my budget (which I’ve set at 75% of what I spent in 2014), I’m not imposing any strict limitations, just some approximate guidelines to keep me on track. Namely, that 30 to 40 new items should be more than enough, and to aim for a more season approach to shopping with hiatuses in the second halves of winter and summer. I’m dividing my budget evenly between each of the four seasons and “others” (I’m not entirely sure what qualifies as “others” at this point, but I feel that I should have some leeway, perhaps for things like formal wear.) as a way of pacing myself but it’s not set in stone. I don’t know how all of this is going to pan out, but I’m hoping it will help me be a better shopper. Congrats on your success, too, Kayla! Doesn’t it feel good to stick to a budget? Recording what we buy can be very eye-opening. I can only estimate how much I bought before starting this blog, and it wasn’t pretty! Your plan for 2015 sounds very sound and quite similar to what I intend to do (except the four season part – not too much in the way of seasons where I live – mostly summer and “not summer”). I think your plan WILL help you to become a better shopper. What I’ve found is that any sort of planning or thought we give to our shopping is very helpful. Also, buying less and thinking more has made a big difference for me! December was an iffy month for me with shopping but I feel like I made smarter choices than I did in November (when I lost control for a while) and overall I feel like I’m continuing to move forward in this journey. I was gifted a few clothing items for Christmas…a dressier tank top for the rare occasions I go out, two cute casual tops and a cardigan, as well as a scarf, pair of earrings and necklace. I also purchased a pair of leopard print flats for myself. One thing I’m particularly proud of is NOT buying a dress for New Year’s Eve. I stressed and stressed about not having something new to wear, but then ended up just wearing a top that was gifted to me and felt much more comfortable, much more ME! I think it was an excellent lesson in shopping my closet in the future. I also purged two items, a dress that I’ve been trying to like for two years and just can’t enjoy wearing, and a sweater that was extremely worn out and losing its shape. Good for you for doing better in December than November, Ry. I especially like your story about the NYE outfit and I’m sure you looked great! I think we could probably all shop our closets for most of the events in our lives and usually find what we need there. I think we often just WANT to buy new things, but there isn’t a lot of need there. At least that’s often true for me… Thanks for your kind words about my progress. It feels good to see the changes. It’s taken me a while and I’ve had lots of setbacks (and may have more), but I do feel as if I have turned a corner as of late. Stick with it! There are lots of ups and downs, but recognize your progress (as you’ve done) and it will mount up over time. Very well done and great job on your progress this year! I found your blog in March while searching for ways to pare down my (at the time) overstuffed closet. I have been an avid reader ever since and appreciate your sincerity and honesty. Your articles have really helped me in my own journey. 2014 was the first year I actually started counting what came in. I accumulated 150 items (clothes, scarves, accessories, and winter gear) and spent 1050 (50 over budget-still not bad for a newbie). I’m aiming to do a LOT better this year and only bring in 90 or less of clothes, shoes and accessories. I have the same budget as last year to see if I can beat it with the new knowledge I have. Welcome, Angel, and thanks for sharing your accountability for 2014 and goal for 2015. I wish you the very best of luck! If you need support, please let us know, as we are all pulling for each other here. I appreciate your kind words about my blog and am happy my posts have been helpful for you. Fantastic job Debbie! It’s astounding how much progress you’ve made this year. As for me, I was unable to stick to my 6-month shopping hiatus. I didn’t buy much though and what I did get, I am wearing and loving. I’m looking forward to participating in your new challenge. Maybe you should call it the LIWI (Love It, Wear It) Challenge. Here’s to a wonderful 2015 for you and all your readers! I love the name Love It, Wear It Challenge. It just sounds so happy! I love this idea, Kim. Thank you! Love It, Wear It Challenge is catchy, simple and descriptive. The only thing is that LIWI isn’t easy to pronounce (“Lee-wee”? “Lye-Wye”? ), but that’s okay. I think you did great last year, even though you didn’t stick to no shopping for 6 months. Just think of what you would have bought if you hadn’t taken on that challenge? I wish you the best in 2015, too, and I’m glad you’re on board for LIWI! The only thing that I came up with was the practical closet plan. It seemed like a bad idea to go around announcing that I was doing PCP :). LIWI-lee wee is now stuck in my head. LOL about Tonya’s “PCP”! I like LIWI and am thinking “lee-wee” in my head now, too. I think it will be a fun and informative challenge! i don’t set a budget and i am still undecided if i want an item limit for 2015. on one hand i enjoy a challenge and like to document my progress. on the other hand, like you, i try to get to a point where clothes don’t play a dominant role in my life. i love reading your updates and am always rooting for you to stay under your limit and purge things 😀 i am glad you made you end of year goals and i am exited for your new challenge. Welcome, Judith, and thanks for de-lurking to comment. Sounds like you did great with your shopping in 2014. It can be difficult to decide on goals and to balance out the desire to improve with the equal desire not to be obsessive about clothing. Perhaps having one primary goal that isn’t too complicated could be the way to go. I’m still considering what I want to take on for 2015 beyond the closet challenge I highlighted in my last post. But I will definitely share what I decide. Best wishes to you for this year! Wow Debbie, congratulations!! No shopping for yourself is a huge achievement! Yesssss! Me: I also didn’t pay for any clothes for myself. I got a few Christmas gifts though – a long sleeved blue top that is great for casual/yoga wear, some black trouser socks, and a yoga outfit (top + capris). The yoga outfit was initially too tight, but I exchanged it for one that fits perfectly. I purged a few tops and cardigans (I don’t know, maybe 5 or 6 things). I also received a generous gift certificate which I haven’t spent yet but which will go to clothing. I am planning some pant purchases – I’ve been slowly losing some weight, so I’m starting to look a bit schlubby in some of my pants as they’re getting a bit baggy. I don’t think I’m down a whole size yet but maybe I can switch to the “smaller cut” brands at the same size rather than the more “generous cut” brands. I’d like some plain tops too as I’m a bit bored of what I have but I still have TOO MANY tops so that’s an issue. I feel like focusing on one item a month will be a good plan for me for 2015. By “focusing” I don’t mean that I will totally limit myself if I see something great, but for example, in January I’d like to find some navy pants. Maybe in February I’ll look for some shoes – my grey flats are getting worn out, so I’d like to replace them. Sounds like congrats are in order for you, too, Sarah! Sounds like you got some good Christmas gifts that are a good fit for your lifestyle. I like the idea of having one focus item to buy in a given month. For me this month, it’s to replace some of my workout/lounge wear. I already bought some new walking shoes on eBay (got the exact same pair as last time, as they served me well) and plan to pick up some other things soon. I guess that’s more than one ITEM, but it’s a focus AREA. I hope you find some nice navy pants this month. Congrats on the weight loss! It looks to me that you did so well this year, congrats! I december I spent a bit, but I bought a new, quality bag, much needed since I use it every day (it’s a versatile color), same with my new black knee-high low boots! I also bought a new pair of winter trousers (well, these were purchased this year), finally, and they fit well and are much versatile, luckily! I just need to have them hemmed, but I won’t complain here, since otherwise they’re perfect, and knowing my luck with trousers I consider myself satisfied! I like these round-up posts, they’re fun to read and also give some good advice on how to manage certain problems/areas of my wardrobe (for example, I won’t buy an item that needs too many and costly alterations anymore, it’s become a deal-breaker for me)! It sounds like you did well with your December shopping, Maria. I’m glad you like these posts and find them helpful. Good rule about the alterations. As you’ve read, I’ve gotten myself into trouble FAR too many times on that front, but I’m happy that my mistakes can help others to do better (and hopefully me, too!). 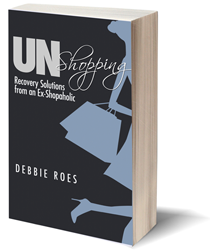 Hi Debbie, I very much enjoy your blog…I’m not much of a shopaholic at least not now. However, I’m always looking for ways to improve my style as well as wardrobe management. One thing I thought I’d pass along with regard to your workout wear/loungewear. Have you ever tried the “Lucy” brand of workout wear? I really like their clothing! I have purchased several pieces. They offer lots of styles, and quality (some items have lasted me for years)! Many of the pants are offered in lengths. The prices aren’t inexpensive but, less expensive than lululemon and they have very good sales/free shipping. In checking their website they have some stores in Southern California. Thanks for the tip about Lucy, Renee. I’m from Northern California, too, and have purchased Lucy clothing in the past. I looked and there is a store about 20 minutes from where I live, so I will check them out. I definitely need some workout pants and talls can be hard to come by. Maybe I will order online and return or exchange in the store if necessary. I’m glad you like my blog and I appreciate your comment and suggestion. Thanks for the tip. I see they have store near me in Atlanta too! This is a hard category of clothing to buy for many of us. Eddie Bauer now has an athletic wear line, too, and it looks promising. I look forward to improving this important area of my wardrobe. I think many of us neglect it, but for those of us who work out a lot or spend a lot of time at home (and like to wear lounge wear), it’s important to give this wardrobe area the attention it deserves! Wow, I learn so much from your accountability posts! I am relatively new to your writings but it was not until I read your previous accountability post that I became proactive. While I still spent too much, looking back in this way has helped me begin to understand why. So I am grateful you do these. I learned the roots of my spending are in being accepted or admired, something I want to let go of in 2015. Clothing is also my equivalent of comfort food. I would much rather relax by slipping on a pair of jeans and a cozy sweater than by eating a pint of ice cream. I discovered some triggers to buy: sales over 40% off, items in my favorite colors, buying the same item in multiple colors, and overbuying items that closely resemble my favorite “comfort food” clothes. I spent $218 in December, mostly in the first few days before reading your accountability. Of the 8 items, 4 replaced items I loved to their demise (2 pairs of jeans and a wool turtleneck with holes, my black t shirt that had faded), 4 items reflect how I see myself and how I want to be seen. All were on sale at 50% off or more (my weakness). I have found several of your past topics to be very helpful and I plan to apply some of your techniques. While I admire the concepts of project 333 and several other minimalist bloggers, your blog seems more grounded in the psychology of consuming. I fear any attempt to jump into one of those for me at least would be in appearance only. I believe that if I make changes inside, my spending habits will change too. This way, it won’t feel like following rules or a self imposed punishment for the bad habits of my past. What you wrote about Project 333 is interesting. While this isn’t universally true, it seems that many people who do that challenge aren’t all that into fashion/style. They want to avoid having to really think about getting dressed. People like you and me are in a different category in that we don’t want to give up our love of clothing and style. We just want to stop buying so much and better use what we have. Project 333 DID help me with those goals, but I don’t want to always limit myself to such a small capsule (and I never counted accessories among my 33 items, as accessories are what add the “flavor” to our outfits, to use the food metaphor again). I agree that if we make changes INSIDE, our spending habits will also change. It isn’t a quick fix, but it does happen. I wish you the very best of luck! AMAZING article! You have lived a large life and earned your wisdom. Your blog helps both you and all of us who read it. I have heard that altruism is the highest form of coping. BTW, I’m with you in that I love getting dressed every day. It’s a creative outlet for me as I have a rather left brain job. I really do express myself through my clothes and 33 items might not be a large enough vocabulary. But who knows? I’m just getting started. I’m glad you liked the article, Misty. I like what you said about altruism and coping. Yes, getting dressed can be a fun creative outlet for many of us and that’s totally okay. We just need to learn to do it without going overboard on shopping. That CAN be done! You did great Debbie! That extra $200 that you didn’t spend? I think I found it. I spent $277 over my budget for the year. On one hand I’m bummed that I didn’t meet my budget. On the other I’m pleased because I’m still down $500 from what I spent last year. If I factor in the money from consignment stores and being paid in gift cards and paypal that I didn’t “count” in 2013 then it’s probably closer to $1500 less. I think my success rate was about 50-50 with items that were good buys. There was plenty of waste this past year, but that does leave a lot of room for improvement this year. Overall I’m not unhappy with my progress. I’m glad you are acknowledging your progress instead of being bummed out about being over budget, Tonya. I see a lot of progress in your journey and I continue to feel that our trajectory is quite similar. My success rate is similar to yours, as you saw in my posts last week. But if I look at the year before (and before that), I have to give myself credit for all of the improvement I’ve made. I think we will both do better this year. I’m glad you’re joining me on my new challenge! Hooray! Debbie you have truly found your way through this dark forest of clothes, shopping and confusion that plagues so many of us. Sure there will still be glitz and blunders ahead, especially as we transition from one decade to the next and need to tweak out styles, but now you have the tools to work though whatever is ahead. I remember when the haze finally began to clear for me, like it is now doing for you. It’s a great feeling to have a tamed closet and know that you will do whatever work it takes to keep things toned down, isn’t it. As for me, the work does not end simply because I’ve finally got to where I want to be in terms of having a small wardrobe of clothing I love and enjoy wearing. No, not at all, I think my real work is just now beginning, because I have finally whittled my way down. This past year I’ve focused mostly on only replacing items that have worn out, and I have a small capsule for the main categories my life requires. For the first time ever the capsule of clothing I wear when I get dressed to “leave the house and live my life out in the world” is smaller than the capsule of clothing I wear at home. Which is perfect because I spend much of my time working and living at home. I’ve also lowered my closet set point because I’ve proven to myself that I am perfectly happy and need far less than I once thought. But I’ve learned now that I plan my shopping ahead, make a list of what I need (or don’t need) for each new season, it is easy to fall off the wagon and accidentally over plan and over buy. And since our warm (downright hot) season lasted from May to November this past year, I had this “idea” that I was going to buy plenty of summer wear to keep me going in case the hot weather lasts forever again. Instead, I’m hoping to come up with a small capsule from clothing I already own and a few new pieces. I need to do this in order to save money (I have a new budget that is much lower than in the past) and also because I know I have a tendency to over plan my needs. And luckily I have your accountability posts to help me accountable too! Thanks for your kind words and for sharing your insights from farther down the road, Terra. I was especially impacted by what you wrote about your at-home capsule now being larger than your out-and-about capsule. That’s really where I need to be, I think, as I spend SO much time at home and doing things like going on walks and to the gym. I really need to upgrade that capsule and “shop my closet” more for the times I go out. I was going about things too much in reverse order in the past, but now I see how much waste I created as a result. Of course, my life has changed in recent years, as has yours, but a workable wardrobe is one that truly matches our real life, not a past or wished for life. 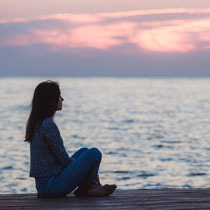 While it’s true that our lives may change back to what they were before – or to something completely different, they are what they are right now and we need to honor that. It sounds like you really are and I admire that in you. I love to read your comments, as you are a few steps (a few years?) ahead of me. I know I will get there, but I also know that the work never really ends. But the obsession and exorbitant amount of time spent can end and morph into periodic updates as needed, while we’re also enjoying the rest of our lives! I went over budget by $508 and by 25 items ><. However- I bought ar LEAST 25 items less than last year and overspent by much more, and most of the items I purchased last year didn't work out for me while this year the majority did! I became more concious and reduced my total wardrobe from hundreds of items (300-400 at one point?) to 133. I have a great wardrobe that suits me and both my position at work and home life now. I feel accomplished despite 'failing'! This year I'm positive I'll hit or be under the budget and item limit (much much lower- $1500 and 20 items) this year :). My budget post went up today and Saturday morning my purchases review for 2014 is going up. You have really made amazing progress, Meli, despite going over your budget and item limit for 2014. I enjoy reading your budget updates and purchase reviews. You selected a lot of great items last year and it’s good to see that the vast majority of them are working out for you. I look forward to seeing your continued growth this year! These accountability posts are so incredibly helpful, even though they make me confront my lack of progress in some of these areas head-on. I am really trying to enter the new year in a different frame of mind, but I’m facing a new wardrobe dilemma that has me dying to shop! At Debbie’s suggestion via e-mail, I’m going to post this for group input, in hopes that some of you have been to similar events recently and can steer me in the right direction. I work as a program coordinator for a large state university and have just received permission to attend a national conference for the type of program I support. Luckily this conference is in my local area (Dallas) at a nice downtown hotel, so I won’t have to worry about limited packing capacity and won’t need resort wear. I’ll be getting dressed at home every morning and commuting to the meetings. Many of the attendees will be young adults working in higher education, so it’s likely they’ll dress pretty casually and the only ones I know well are male. The conference website offers no clues. As a non-degreed professional staff member in my mid-50’s, it’s important to me to present a good impression, represent our university well, and hopefully make some good contacts. My build is very similar to Debbie’s – tall, slightly pear shaped but not overweight. You may have already guessed that my first instinct is to start shopping for an entire new wardrobe for this four-day event, but I’m trying to fight that impulse and focus on what’s already in my closet. In my prior job, we always wore pantsuits to conferences and that worked well, but a co-worker has suggested I dress more informally for this event, since the first two days are on the weekend. I basically have two wardrobes: for work, it’s business formal with “matchy” suits or dresses, and on weekends I wear jackets or sweaters with dark blue or black skinny jeans and nice boots. The conference is in early February, and I may have to walk a few blocks for parking early each morning and late in the evenings. I was initially asked to submit a paper, but it wasn’t chosen for a presentation, so I’m not speaking, just attending. I’m hoping that readers who have been to a conference of this type (in this decade) can tell me if the jacket/nice jeans/boots combo is appropriate for this event at my age? Jeans are generally not appropriate in my job unless we’re moving boxes or hosting an outdoor event. Should I err on the side of caution and go with pantsuits, a turtleneck and nice scarves or statement jewelry? I have a great charcoal sweater dress that I’d love to wear with tights, ankle booties and a bright jacket and scarf, but you don’t see many people in dresses this time of year unless it’s for church. Like Debbie, I have fussy feet, so the idea of wearing my Sam Edelman riding boots with skinny jeans is very appealing from a comfort standpoint. Final option: I could just give in to my fashion insecurity and hit the Nordstrom after-Christmas sale, but that doesn’t help me incorporate all I’ve learned through Debbie’s posts. Any suggestions my fellow readers may have would be greatly appreciated! Hi TexasAggieMom, Unfortunately I don’t have any experience with these types of events. I do have a friend that works for a college and she does career fairs and other similar events. She usually wears a pair of dress pants and a jacket or cardigan. You could go halfway and wear a pair of your suit pants with a sweater and a nice necklace or a dress with boots and no jacket. It would be more casual than a suit, but still dressy enough if jeans aren’t the norm. After the first day you’d be able to adjust accordingly since you’re not having to pack. Hopefully someone has better first hand knowledge than I do. Think of how good you will feel if you’re able to do something like this and not shop! Thanks so much, Tonya! Your suggestions are very much in line with my thinking; I need to find a middle ground. Really appreciate your thoughts! I’m an academic and used to wear trouser suits, but have phased them out for most events. I now split the suits, wearing the trouser with knitwear as the others have suggested , or the jackets with jeans or non-matching tailored trousers and a light knitwear under (so I can remove the jacket). Workwear generally is less formal than it used to be, so I wouldn’t wear a pant suit to a conference held at the weekend. Having said that, you will find a huge range of outfits there, so whatever you pick will be ok! Thanks, Alice – your suggestions mirror the trends I’m seeing on my campus, but I work with very few women, other than support staff and academic advisors who tend to dress like students; most days it’s hard to tell them apart. You last comment is very comforting – I have to remember that no one at this conference even cares what I wear and won’t notice – it’s just my own insecurities that make me obsess about this! Hi! My family live in Dallas, so I can attest to the fact that the city is no longer as “dressy” as it used to be…that said, you do indeed want to look and feel your best! I love the idea of the sweater dress, you can make it casual by the way you accessorize. Perhaps ditch the jacket, wear tight, boots (flat) and a cute scarf. Save the jacket for dark jeans… My go to outfit currently is skinnies tucked into boots with a sweater, or button up shirt and always a scarf! You can add a jacket if need be, although Dallas weather doesn’t always need that. Good luck and enjoy!! Thanks, Paula! I wore the sweater dress today and tried your suggested look with it. If it’s not freezing cold I think that may be a great piece for the first day until I can see what everyone else is wearing. The jacket I wore with it is more of a heavy asymmetrical sweater from Chico’s in a good color, and I figured out a scarf and tights that pulled it all together. Only the shoes felt wrong, but I can try some other options this weekend. Feeling better about this already – thanks again! This is a puzzler: on the one hand, you don’t want to dress like a student; on the other, you don’t want to overdress. I like the suggestion to break up your suit pieces and wear different separates with them than you would normally do–i.e., the pants with good knits rather than a jacket. Also, you can dress down a tweedy skirt by pairing it with your comfy boots. Add tights. As inspiration, think of the female professors whose looks you like. One I know recently arrived at a business casual networking event in a brown suede skirt, brown suede shoes, and brown merino wool tights, complemented by a silk blouse, patterned wool scarf and chunky cardigan. It looked very comfortable and thoughtfully put together but the quality of the items made it not look student-y or like she was trying too hard. Let us know what you decide to do! Have fun! Exactly – not like a student, but not overdressed – that really resonates with me! Sometimes easier said than done, but I’m going to take some time this weekend to experiment with a capsule wardrobe, as if I really did have to pack and travel for this event. I could even keep a few pieces in my car in case I truly missed the mark some day. It’s weird to me that most of the women I work with (very few females over 30, and none who care about clothes) seem to look for an excuse to dress down. For me, the professional Shopaholic, it’s an opportunity to create new outfits and and I look forward to dressing up for a new “audience.” Thanks for taking the time to provide this valuable input! The beauty of being our age is that we set the rules, we don’t follow them. Absolutely you can do your nice jeans, jacket and boot combo! I also love a full pantsuit with a t shirt, casual shoes and a messy ponytail. Play with mixing the formal and informal items you already own, have some fun! Wearing something you love and know from experience looks great on you will boost your confidence. Misty, I like how you think! Having followed the perceived rules closely my entire life, this attitude is one I need to adopt. I’m going to work on combining a few of my favorites into several outfits I know I can rock on my worst day, which will give me a head start on the LIWI project. You’re right – wearing something I love will make me feel 100% more confident – thanks for the reminder! I would avoid jeans, no matter how nice and wear plain black pants (or navy). Not necessarily a pantsuit–some kind of blazer or structured cardigan. That’s a chameleon like outfit that can fit into many situations. Take some accessories that can go either way also. You want to look professional. Bear in mind that at many academic conferences now presenters have blue hair and wear ripped jeans and so on. But those are the young and soon to be famous. I agree that navy is often a great compromise. It echoes the casual color of jeans but in a more professional fabric like twill or wool. You can’t really go wrong with twill pants/khakis and some quality knitwear. I’ve never felt overdressed this way. Sarah E – thanks so much for taking the time to respond to my dilemma! I do wear a lot of navy, as it’s one of the colors of my university and teams well with our logo-wear. Your comment made me realize that my navy university logo blazer is an option I hadn’t thought of, since I was mentally working with a black/grey/ivory palette in my head. I don’t really have any random twill or khaki pants, but I have some tan wool pants from GAP that might still fit. Thanks for the inspiration! Frugal Scholar, thanks so much for your candid thoughts on the jeans. I’m hesitant about them, and definitely will not wear them the first day. Unfortunately, I don’t have many (any???) work-appropriate separates, just matched suits in fabrics that don’t play well with others. Since I’m trying hard not to turn this into a shopping emergency (the reason I wrote to Debbie in the first place) I need to shop my closet. Based on all the great input I’ve received, I think I’ll probably stick with my best black pantsuit for day one, with a turtleneck and scarf that can stand alone without the jacket. Based on what I see that day, the remaining days I’ll probably wear pantsuits, or try the sweater dress, tights and flats combo that Paula recommended. I’m working on my closet over this long weekend and plan to look for scarves and jackets that might work for this event. So much depends on the weather that week – we don’t do winter clothes well here because we have so little of it, and it’s not usually a wardrobe priority. One of my shopping rules for this season (in addition to “stop shopping” is to only buy wool or cashmere pieces that can be worn to work; if they can be paired with jeans on the weekend that’s a plus. That truly is a wardrobe gap for me, since we seem to be having colder winters in the past few years. Again, I really appreciate your feedback! I’m so glad you received such excellent advice here, TexasAggieMom! For anyone else who is reading this, feel free to post these types of questions here. I’m going to be creating a Facebook group (closed) for those who are interested soon, but in the meantime, wardrobe and shopping questions can be posed in the comments section. I had to close comments 2 weeks after my posts go live due to extreme spam issues, so just pose your questions in the most current post. We have such a generous and helpful community here that I know you’ll receive the same great advice that TexasAggieMom received. TexasAggieMom, I know you will look great at your conference. I think you were on the right track before, but the advice you go has helped you to get clearer and hone it all. I hope you will share how it went after the fact, as many of us would love to get an update. Have a wonderful time! I also don’t have firsthand experience with the situation described, but my first instinct was the same as Tonya’s – a nice sweater over the dress pants. Alternately, I think black skinny jeans can fall on the dressier side of casual if paired with suit jackets and nicer blouses. As a matter of fact, I’ve been relying heavily on my black jeans for my job seeking capsule in a casual mountain town. A suit would be way over the top here in the Sierras particularly in the hospitality or retail fields I’ve been inquiring in. Thanks, Mo! My first instinct mirrored yours and that will be my plan for day one, to get an idea of what everyone else is wearing. I do have pair of black skinny jeans that fit perfectly and can be worn with flats or tucked into boots, and some of a nicer fabric (darker black, more twill than denim, but straight-legged jeans style) that may work for this event if that is a look that other adult women are wearing. I think Paula’s ideas for dressing down the sweater dress will also work, even though that’s something of a style departure for me. I am starting to look at this as an opportunity to try out looks I wouldn’t normally wear to work but COULD, and really appreciate everyone’s ideas. Thanks again, y’all! At the very end of the month I spent about $10 on jewelry for NYE, and that put me about $70 over my spending goal for the year. But my goal was $600 and I set it in the middle of the year (while including items I had purchased before that in the total) so overall I’m pretty pleased. I didn’t set an item limit for myself but buying too many things hasn’t been a concern in the past. On the other hand I’m someone who takes forever to purge things! I think one of he first comments I made on your blog mentioned the fact that I am a relatively recent graduate and am trying to replace my poorly thought out wardrobe with something smaller, more cohesive and with better quality items. And I think the way I am going to work on that this year is with a shopping plan. I have three “big” items I would like: a trench, a new work tote, and a brand-name work dress. Other than those items I would like to come up with seasonal shopping plans and stick to $600 again. If I can make more ethical purchases this year (Eco-gentle; USA-made) then I will be very happy but I’m an extended size (tall) and haven’t really found retailers that offer my size. If anyone has suggestions I would love to check them out! What are your favorite items in your current closet that are of the best quality? Are you interviewing or in a first job out of school? If so, what is your field? The only thing I would add to Allie’s list is a good quality blazer. Starting with a skirt, pants and blazer from the same brand and fabric give you both suit and separate options, if you have the sort of life that sometimes requires “business formal” attire. I still have the first nice blazer I bought, which was Anne Klein on sale for around $200. I recently replaced the buttons since one broke, but it is still looking good after 10 years. Hope that helps you get started – good luck! Congratulations on your graduation, Sara! You seemed to have done well with your shopping in 2014, even if you went over your goal by a bit. I like the plan you have in place for this year. I think that any planning we do serves us well even if we don’t stick to the plan completely. So many people (including me for most of my life) just go shopping and buy whatever catches their eye, even if they have 5 or more similar things in their closet already (yes, I resemble that remark!). TexasAggieMom gave you some great advice about shopping for tall sizes. As you know, I am also tall and I struggle to find well-fitting pieces, especially those that are ethically produced. As a start, I use this list as a guide: https://betterworldshopper.org/#companies-section, but I haven’t seen most of the A-rated brands in my area and the ones I do know of don’t carry tall sizes. I try to focus on the B-rated brands because there are some there that work for me. We just have to do the best we can. I don’t need to find tall sizes in everything, so I sometimes can get sleeveless or short-sleeved tops (since I’m short-waisted) in regular sizes. It’s frustrating, but we have to try a lot of things on. I’m not sure where Ann Taylor or LOFT (same company, I believe) rank in regards to ethics, but if I find out, I will post about it. Good luck finding work clothing! Debbie, as usual you have emerged with some great insights. I have a little bit of constructive criticism and questions. First, I have noticed in myself the tendency to replace something before it’s really worn out, because of the fear that I will be without that item when it really does wear out (there is definitely a mentality of scarcity here, when that scarcity doesn’t really exist). I see a similar pattern, perhaps, with your casual jacket. I think this is a sneaky way that duplicates can worm their way into our wardrobes. I think you are very conscious these days about duplicates though (re: boots), so hopefully you will not have that same issue. The other thing I noticed is that your new jewelry doesn’t really say “edgy” to me. Like you I’ve been trying to incorporate some more yang/modern/edgy pieces into my wardrobe so this stood out a bit to me. That’s not to say we can’t still do “pretty,” which is how I would categorize the necklace and earrings, but I wondered if you had noticed that. I would probably try to style pretty jewelry like that with an edgier outfit, like a leather jacket or funky shoes. Like Bridgette recommended, to only have one “pretty” item per outfit. One other thought I had was that since you spend so much time in loungewear, perhaps you might focus more of your attention on “luxe” loungewear this year. Since you enjoy feeling more dressed up, perhaps fancier fabrics or more unique cuts to your loungewear would help it feel more special. For example, I saw a pair of cashmere lounge pants in a catalog last year, or if you wore leggings, you could make them velvet ones (not the most practical, I realize). Or for something more practical, choose workout shirts and pants with interesting seaming (I like yoga pants with interesting seams down the legs) or perhaps a shimmery thread woven through a performance workout top. And finally, congratulations on coming in under budget! I was about $30 over my budget, so I think that went pretty well overall. I’ve set an item limit for myself for 2015, which I think will be quite do-able with the slightly smaller budget I’ve set for this year. I’m interested to hear more about your new rules for 2015, like will accessories and gifts count towards your goals? Have you ruled anything out completely, like consignment shopping? You made some excellent observations and offered great recommendations, Sarah. Yes, I do tend to replace things before it’s absolutely necessary, but I often have such a hard time finding things that I get nervous to search when somethings is on its last legs. I am more aware of duplication these days, but I do need to be careful, so point well taken. You’re right that my new jewelry isn’t very edgy. I didn’t select the earrings, but I have worn them a few times. I don’t feel the need to be edgy all the time, but I’d like to have more options in that arena, so I do need to be careful not to buy too many “pretty” things. Even if my outfits aren’t “edgy,” I don’t want them to look too feminine or “twee,” as that is no longer my style. So Bridgette’s advice about only including one pretty item is important for me to follow. I totally agree that I should spend more of my budget on loungewear and step it up a bit. That’s going to be a big area of focus for the shopping I do this year. Cashmere lounge pants sound interesting… A lot of my workout/lounge wear is kind of plain and boring, so I really like your ideas for finding things with interesting seaming and details. I think that would make a big difference for me. Congrats on your 2014 shopping! Coming in $30 over budget is still pretty good. My goals for 2015 will be posted soon (so many wrap-up posts to do!). I plan to have fewer goals this year overall. I don’t know that I will rule out consignment shopping completely, but I’ve lost my interest in it. I brought some pieces to the main store where I consign yesterday and didn’t even want to look around much. I just milled around until they went through my things, collected the cash for items I’ve already sold there (they don’t mail out checks, which is kind of annoying, so I just wait until I take more things in) and left. I was pretty proud of myself! I think that learning what a “bust” my consignment purchases has been showed me that I need to place my focus elsewhere. I could place a ban on that type of shopping, but I don’t think I will need to. Oh, one other thing I wanted to mention about purging items. Recently I swapped a vintage wool sweater that I wasn’t wearing for 2 wonderful eyeshadow palettes and it was so much fun! Reddit has some great communities where you can sell or swap your clothes directly with someone else. (try /r/thriftythread, /r/wardrobepurge, /r/closetswap). I find this more satisfying than donating to a thrift store, especially after reading some articles about what happens to all the clothes that can’t be sold there. So it’s a good option, especially if a consigment shop won’t take what you have. Thanks for sharing this, Sarah. I’ve never heard of these communities, but I will keep them in mind. I usually donate what I’m unable to consign, but I appreciate having another option to pursue. have you considered buying half as many items and double the budget for each? Like buying 25 items for 2015, same budget? I get a feeling from looking at your pictures that you don’t “invest” in each item of clothing… maybe if you loved each one of them more, you would need a lot less…. and get higher quality of course! That’s exactly what I plan to do this year, Eva. I think I was afraid to do so before because I worried about making mistakes on bigger ticket items. I still have those fears, but I’m willing to take the risk for two reasons. For one, I don’t want to have such a large wardrobe anymore. Secondly, a lot of the pieces I love in my wardrobe are things I planned for more and spent more money on. I need to learn from that! I have found your website and have been reading a lot of your posts since I am trying to pare down my closet. A lot of the other sites I looked at weren’t helping because I don’t want to waste money throwing away items that are duplicates or “could” work if I had another item, mainly I want to pare down passively as I wear things out and only shop for things I can see a need for, and I am also trying to do the one in-one or more out rule, but of course that doesn’t happen every time. Mainly I am trying to get down to using only my nice wood hangers I bought but right now I have about 20 extra items. I really like the accountability post because I do a sort of mental tally myself, although I have very little money to spend bringing in new items I do get the shopping bug about once per season and go spend $100 to $150. I have also discovered consignment which is a great way for me to feel good about getting rid of something since I have a hard time letting go. Overall great posts and I have you bookmarked to my favorites and will check back regularly to see how you are doing!